Carr’s Tree Service is looking for full time medium-heavy duty equipment mechanic to serve in our Byron location. 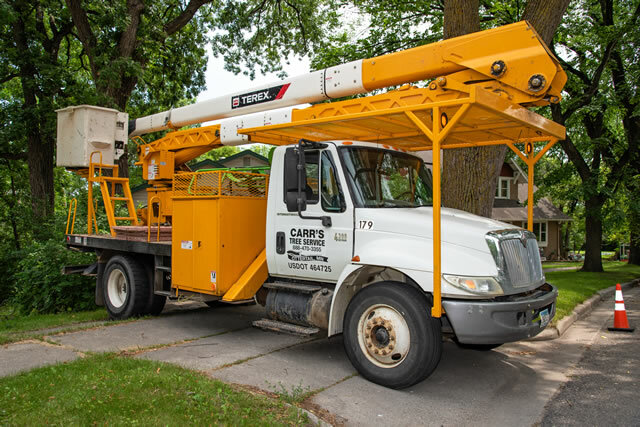 Carr’s Tree Service operates a large number of medium/heavy duty machinery in the tree care industry. Mechanics service boom trucks, loader trucks, CAT machinery with tracks and fecon mowers, along with other types of tree equipment. This position involves working in an indoor and outdoor working environment as on-site mechanical work is often necessary. Responsibility requirements include maintenance and repair of both gas and diesel engines, including hydraulic equipment. Preventive maintenance such as checking oil and fluid levels on all equipment, greasing and maintaining other small equipment such as stumpers and chippers. Additionally, we have a wide variety of equipment ranging from chainsaws to semi-trucks.